Repeat with more melons of the same size. When you pick up one that is obviously and noticeably heavier than the others of the same size put it in your basket. 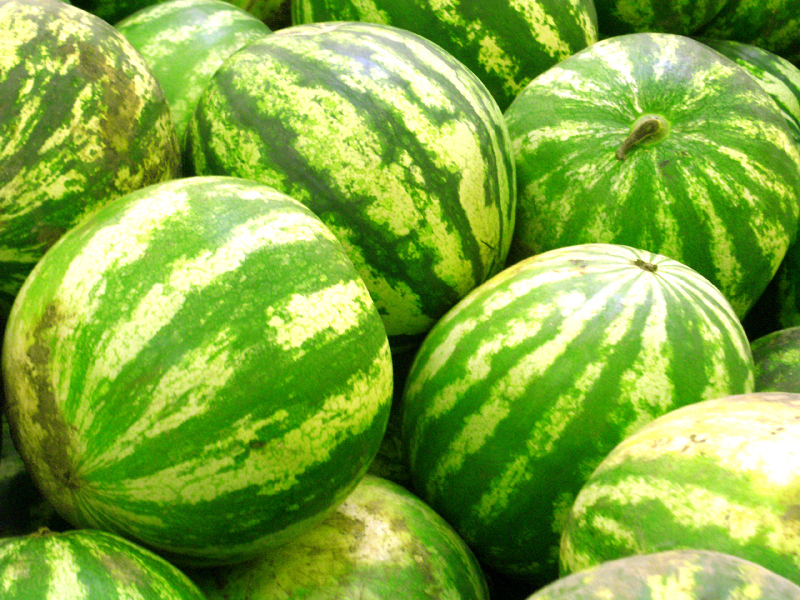 You have just selected a deliciously sweet watermelon. I thought I learned this from Alton Brown, but I just searched so I could link to the Good Eats segment where he covered this, and nothing comes up. So maybe I didn't learn this from Alton Brown. It does not matter though, because this works.